The Asian Human Rights Commission (AHRC) condemns the unlawful arrest and detention committed by police officers of the Timika Police Office (Polres Timika) between 9 and 10 June 2018. 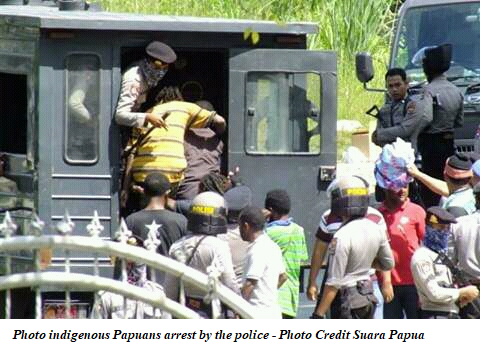 Five indigenous Papuans were arrested without any arrest warrant: Titus Kwalik (48), Polce Sugumol (31), Julianus Dekme (31), Alosius Ogolmagai (49), and Orpa Wanjomal (40). According to local information, the five Papuans were accused of being involved in a conflict in Tembagapura, and were hence allegedly arrested by the special anti-terror police unit (Densus 88). The police arrested Polce in Jalan SP Dua without an arrest warrant and transferred him to the custody of the Police Mobil Brigade (Brimob). Then the police unlawfully arrested Orpa in her house, where they interrogated her at gunpoint. They then ordered her to bring the bullets belonging to her son, Polce Tsugumol (31), which she did. Shortly thereafter, the police arrested Orpha and detained her for more than one day, before releasing her. Subsequently, the police arrested Titus Kwalik (48) from his house without an arrest warrant. The police forcibly entered Titus’ house, and brought him to the police vehicle, despite Titus trying to explain his identity. Furthermore, Julianus Dekme (31) and Alosius Ogolmagai (49) were unlawfully arrested at Julianus’ house without an arrest warrant. The police forcibly entered the house by breaking the door, and then arrested them and brought them to police custody. The AHRC notes that such cases of unlawful occur routinely in Papua without clear accountability. 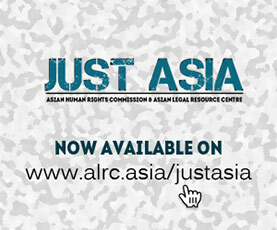 Just last month, the AHRC highlighted recurrent unlawful arrests and deprivation of liberty occurring in Papua. As a State party to the International Covenant on Civil and Political Rights (ICCPR), Indonesia should be aware that unlawful arrest is prohibited under the Covenant. Moreover, the Indonesian Penal Code Procedure (KUHAP) also clearly requires arrest warrants to be issued prior to the arrest of suspects. The AHRC is also concerned at the lack of serious attention given to Papua’s human rights situation by the government under President Joko Widodo. While human rights abuses continue in the province, there is nothing done to prosecute these abuses, or protect people’s rights. The government is merely concerned with the development of infrastructure and mining. In particular, the government is pushing for the re-negotiation of gold mining company, PT. Freeport Indonesia, in Papua. In his eight visits to Papua, President Widodo has yet to take up any human rights cases or prioritize law reform. The Indonesian government must take immediate steps to stop all forms of human rights violations in Papua, particularly unlawful arrest and deprivation of liberty. The police should ensure that the investigation process of the case in Timika will be conducted under fair trial and due process principles. If the detainees are not guilty, they must be released without undue delay and given adequate remedies.